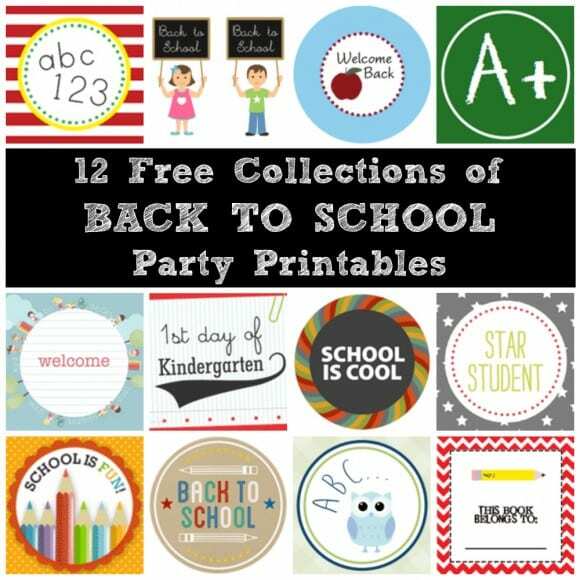 12 Free Printable Collections -- Back to School! My daughter goes back to school on Thursday, so I definitely have "back to school" on the brain! If you are hoping to make the transition as easy for your kids as possible (like I'm hoping to do for mine), take a look at these 12 collections of free back to school printable collections we have on our site. These printables are perfect for back to school parties, teachers' gifts, lunch notes, 1st day of school photo signs, bookplates, treat bag toppers... you name it!